SumUp is the leading mobile point-of-sale (mPOS) company in Europe. Our company vision is to become the first ever global card acceptance brand. Today tens of thousands of merchants accept card payments with SumUp in 15 countries including Germany, Brazil and the United States. The SumUp card terminal in combination with our App allows small merchants to accept credit and debit cards, using their smartphones or tablets, in a simple, secure and cost-effective way. SumUp’s mobile card acceptance solution is built on proprietary end-to-end EMV payment technology, terminal hardware, and mobile applications. 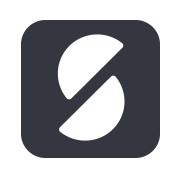 SumUp is well-known for its super fast and simple signup process. SumUp only charges a simple, low percentage fee per card transaction. The company is authorized as a Payment Institution by the Financial Conduct Authority (FCA) and is Europay, MasterCard, and Visa (EMV) and PCI-DSS certified, ensuring that payments are processed in accordance with the highest security standards. Launched in August 2012, SumUp enjoys impressive global reach and has since expanded into 15 countries, including the U.S., Germany and Brazil. SumUp continues to grow and is backed by American Express, BBVA Ventures, Groupon and other renowned venture capital investors. The company is headquartered in London. SumUp is EMV (Europay, MasterCard, and Visa) and PCI-DSS certified, ensuring that payments are processed in accordance with the highest security standards. SumUp’s proprietary, end-to-end payments platform is the first fully-certified EMV mPOS system in the world to cover the entire payment process: card terminals, Android and iOS mobile apps, a payment processing platform and risk and anti-fraud solutions. The company is also the only mPOS provider to design and develop its own EMV card terminals. The SumUp Terminal supports NFC, chip and magnetic stripe transactions. It is in the process to receive full certification from a range of regulatory bodies.